Will Jeremy Corbyn apologize to Teresa May for calling her 'stupid woman'? This is the moment British opposition leader Jeremy Corbyn appears to mouth the words "stupid woman" in the direction of Prime Minister Theresa May. The pair had been sparring in Parliament over May's Brexit deal, but it was an attempt at humour from the PM that seemingly riled the Labour leader. When May compared Corbyn to a pantomime character and said "look behind you," the camera turns backs on him and he appears to mouth the insult. May's "look behind you" comment is a reference to the claim that Labour MPs are just as divided over Brexit as their Conservative rivals. Responding to the claim of Corbyn's alleged "stupid woman" comment, the prime minister said everyone should use "appropriate language" when speaking to female MPs. However, a spokesperson for Corbyn denied the Labour leader said "stupid woman," maintaining that the comment was "stupid people." Parliament then erupted with demands for Corbyn to apologize to the prime minister, but anger turned to Speaker John Bercow when he claimed to have not witnessed the moment. Conservative MP Andrea Leadsom then confronted Bercow over reports that he also called Leadsom a 'stupid woman,' without apologising. A complaint was sent to the Commons standards commissioner over this alleged comment in May. After making the judgment on the video evidence of the incident, Bercow said he would expect Corbyn to return to the House of Commons, should an apology be necessary. 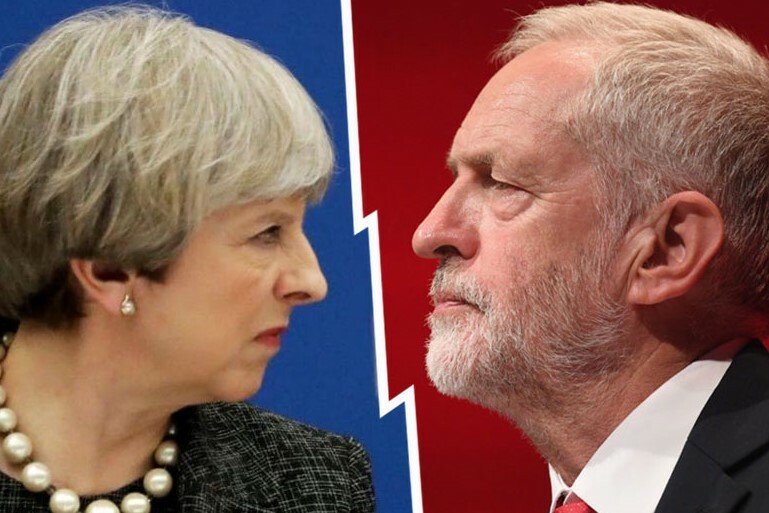 Earlier, Corbyn had accused May of running down the clock to the March 2019 Brexit deadline in a "shameful attempt to make her own bad deal look the lesser of two evils". It has "plunged the country into a national crisis", he added. But May hit back, saying the entire House of Commons was responsible for delivering Brexit, accusing her opponent of being quick to criticise elements of her deal but unable to provide alternatives. "Once again, he has bottled it," she said of Corbyn. "We should now be debating practical alternatives," Corbyn replied, referring to what was originally scheduled to be the aftermath of the now-cancelled meaningful vote on May's deal, before asking the prime minister to stand down from the negotiating table. Specifically mentioning the £ 4 bn being spent on preparations for a no-deal scenario, Corbyn said it was a "criminal waste of money", calling on the prime minister to stop wasting time in a "cynical attempt to drive her deeply damaging deal through parliament.